3D Laser Scanning reduces the amount of site visits your company has to do, generating an immediate savings of 40%. Through this service you will be able to perform any measurement, do visual inspections, show proof of equipment at site, and more, all directly from your computer. This information will be centralized and accesible to all including contractors, making you more efficient and productive. NAAP Solutions employs crews of people to visit your sites and validate the equipment at your site. Having access to this information will set the baseline for everything in your network. With this information uploaded into NAAP Assets you will be able to track assets movements throughout your network, keep all asset information together such as repair history, pictures, and manuals, and eliminate ghost assets, unnecessary purchasing. 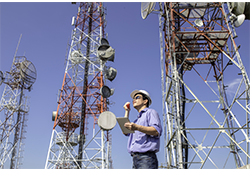 Leveraging the experience of more than four decades in the telecommunications industry, the NAAP Consulting team will help you reach your objectives. Having the right solution is only part of the equation. 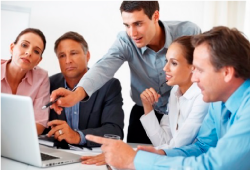 The NAAP Platform works best with a team of people that leverage the tools to meet the objectives. As with every aspect of NAAP Global Solutions, we are committed to providing the best possible customer experience. Your users can be assured that our staff will be available to answer questions and provide whatever support they may need.